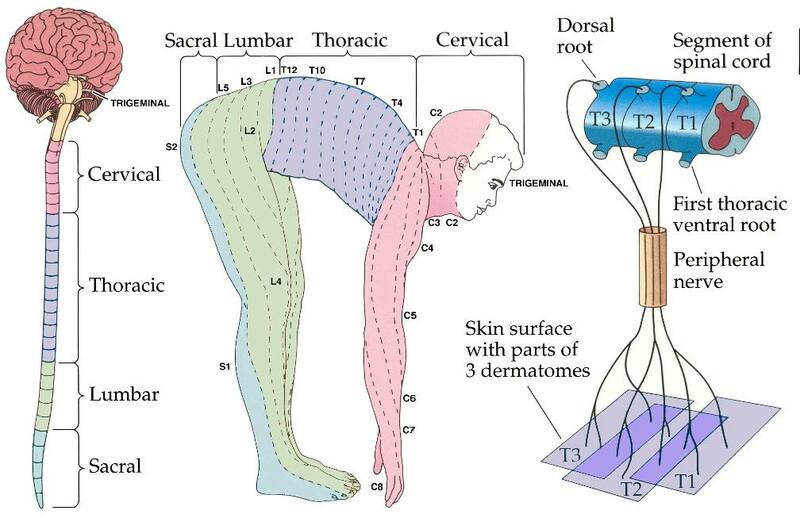 Dermatomes look simpler when a person assumes a quadruped position. Seeing how the dermatomes overlap on the skin shows us sensory overlap… BUT there is more overlap for touch than for pain! So when testing for spinal nerve damage at a certain level…ALWAYS test for pain (pinprick etc).